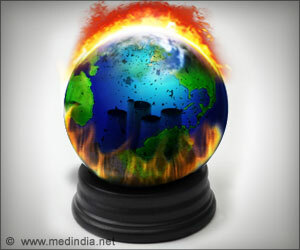 Could Climatic Change Be Causing Heart Attacks? Heart attack risk has been found to be influenced by extreme climatic changes, finds a new study. This heart attack risk has been found to be more in people with diabetes or hyperlipidemia. The environment can have a major effect on the human cardiovascular system. It has long been assumed that severe spikes in temperature increase the risk of heart attack. "In the case of very high and very low temperatures, in particular, this has been clearly demonstrated. In this latest study, we wanted to see to what extent the heat and cold-related heart attack risk has changed over the years," explains Dr. Kai Chen, a researcher at the Institute of Epidemiology at Helmholtz Zentrum München. Together with colleagues from Ludwig Maximilian University in Munich, Augsburg University Hospital and Nördlingen Hospital, he examined data from the Myocardial Infarction Register Augsburg. The study looked at more than 27,000 heart attack patients between 1987 and 2014. The average age of the patients studied was around 63, 73% were men and about 13,000 ended in the death of the patient. The individual heart attacks were compared against meteorological data on the day of the attack and adjusted for a range of additional factors, such as the day of the week and socioeconomic status. The key finding from the study, explains Chen was that "Over a period of 28 years, we found that there has been an increase in heat-induced heart attack risk in recent years." In order to demonstrate this, the researchers compared data from 1987 to 2000 with data from 2001 to 2014. "Our analysis showed that, over the last few years, the risk of heat-induced heart attack with increasing average daily temperature has risen compared to the previous investigation period," explains Chen. 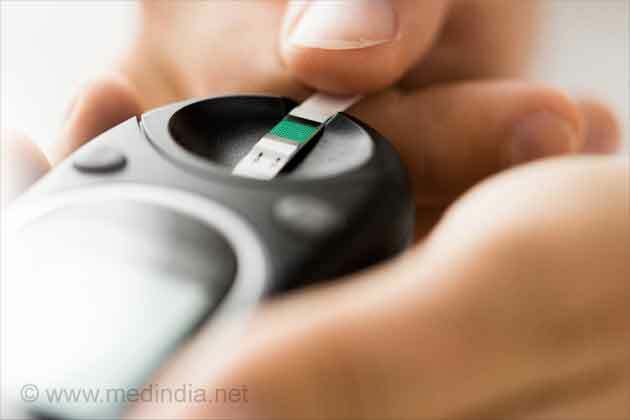 Individuals with diabetes or hyperlipidemia were particularly at risk over the latter period. The researchers suspect that this is partly a result of global warming, but that it is also a consequence of an increase in risk factors such as diabetes and hyperlipidemia, which have made the population more susceptible to heat. Is climate change a heart attack risk? "Our study suggests that greater consideration should be given to high temperatures as a potential trigger for heart attacks - especially in view of climate change," explains lead researcher Dr. Alexandra Schneider. "Extreme weather events, like the 2018 heat waves in Europe, could in the future result in an increase in cardiovascular disease. At the same time, there is likely to be a decrease in cold-related heart attacks here in Germany. Our analysis suggests a lower risk in the future, but this lower risk was not significant and very cold days will continue to represent a potential trigger for heart attacks." To what extent increases in heat-related heart attacks will be counterbalanced by a decrease in cold-related heart attacks is not yet clear, explains the epidemiologist. Her group is currently performing extrapolations aimed at modeling this change in risk both in scenarios where the world meets the Paris Agreement's 1.5 °C and 2 °C targets and in scenarios where these targets are missed. In addition, the researchers are also planning to corroborate their findings by carrying out additional, multicenter studies. Marine microbes carry out the processes that are essential for all of earth's biogeochemical cycles, including many that play a role in climate change. Global pandemics of undernutrition, obesity and climate change are interlinked, revealed Lancet report. Climate change will widen the inequality gap in India. Exposure to extreme weather risks is unevenly distributed between states like Assam, Madhya Pradesh, Odisha, Uttar Pradesh and West Bengal. Early death risk: Air pollution and climate change can significantly affect human health and lead to millions of premature deaths, reveals a new study.